As promised, here's three more great new trends for 2014. More to come next week! Outdoors Made Easy. 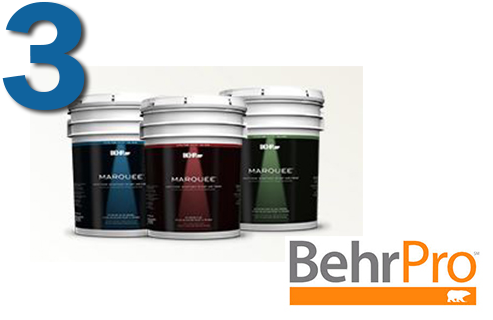 Stain Blocking Paint & Primer delivers remarkable dirt and fade resistance for exterior application. Specialized polymers provide a tough, non-stick surface helping to prevent dirt adhesion, while cutting-edge UV protection technology delivers longer lasting color. The paint film is also able to resist rain as early as 60 minutes after application. Exterior finishes will look freshly painted longer, even under the most challenging weather conditions. Go Big and Glossy.We're seeing a reemergence of glossy floor tile. 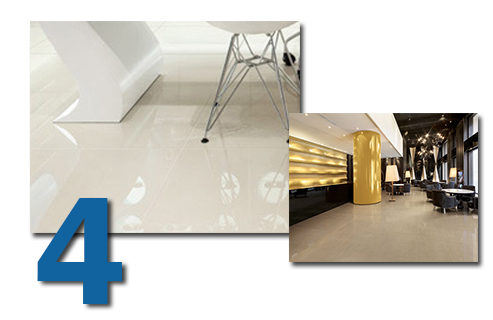 Florida Tile has two great porcelain glossy floor products -- Time 2.0 and Grandeur. We're also seeing a move to large format tiles -- particularly on the walls. Many styles are made in large formats for use on both floor or wall often in 6 x 24, 12 x 24, 18 x 18 and 12 x 12 sizes. Add Some Texture. 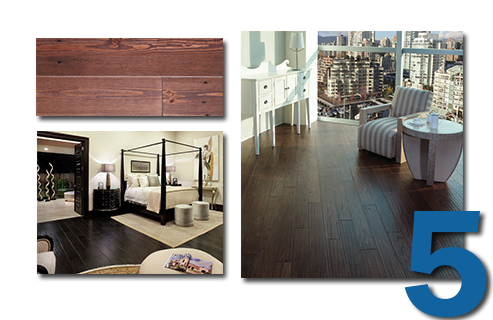 Textured wood flooring products continue to rise in popularity and variety of offerings. Versini offers several handscraped products in a number of finishes, and they also have some nice reclaimed products like Lazio available. And, we're seeing alot of white walls with dark floors offering a stark contrast. For more Top Trends, visit our Top Trends Page!